Chief Justice of India Justice Thakur has reportedly criticized the Government for its approach towards appointment of High Court Judges. 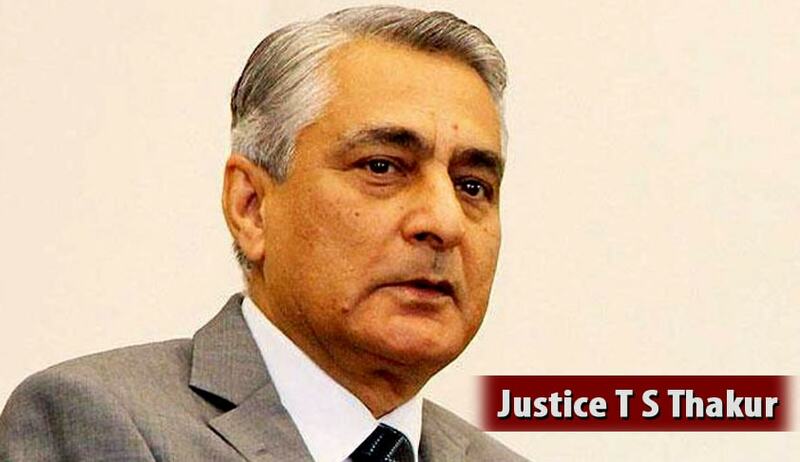 According to the TOI report Justice Thakur said “at a time when people are languishing in jails and others are crying for justice, the government can't be sitting over the proposal (on judges' appointment) for more than two months". "Today there are 450 vacancies in the high courts across the country. 450 is a large number which is almost 50 per cent of working strength of the high courts... You also know there is a delay in filling those vacancies, which was been halted due to the bringing of National Judicial commission," He added. "...It is actually the protection of the rights of the people for whom the laws were made that you act. It is not for any personal glorification that the court act, it is for the enforcement of these laws. I don't know but I think time has come when you do audit of the performance of the government, when we need to do audit of the government by some processes.."
He was speaking after inaugurating a workshop on “Workers in unorganised sector, their aspirations, challenges and way forward” organised by the Jammu and Kashmir State Legal Service Authority (SLSA).